Effective March 1, 2011 any balance in and all future payments into your PayPal account may not be used to buy goods or services and must be transferred to your bank account in India within 7 days from the receipt of confirmation from the buyer in respect of the goods or services. So my understanding of the above statement was that if we wish to purchase any good or services and still want to pay using PayPal, we need to pay using our credit card on PayPal account and can’t use PayPal funds as source of fund. 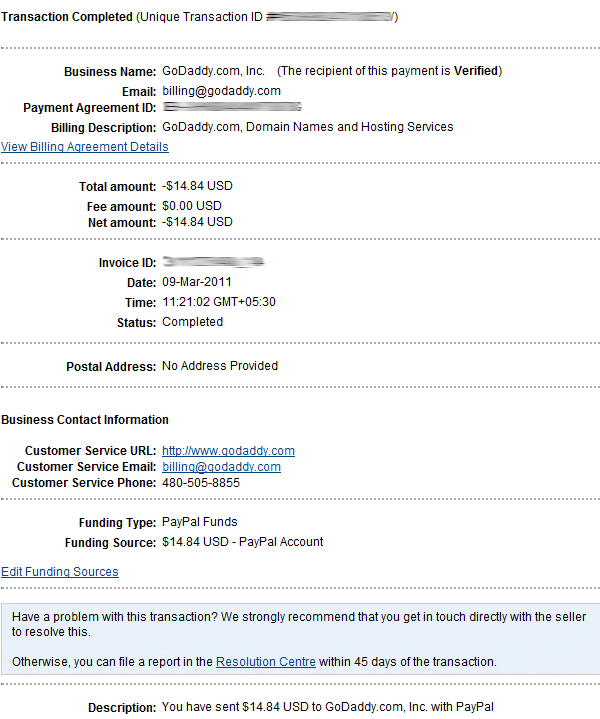 Today when I purchased couple of domains from Godaddy and made the payment through PayPal, I expected the payment to be deducted from my credit card but to my surprise it was deducted from my PayPal funds. The guidelines I am quoting can be seen if you login to your PayPal India account by clearing your browser’s cache. In the screenshot above PayPal remind Indian’s about “RBI Guidelines” but they lag the same. What an Irony? Today is March 9 and if PayPal don’t follow what they drafted, I really doubt on functional aspect of PayPal. What about you? I am not getting as why RBI stopped such services? is it because paypal is foreign company? RBI never stopped anything. They want certain norms to be followed. If a new payment comes to my Paypal account, I have to transfer it to my bank account within 7 days? Can we still use PayPal balance to buy domains/hosting/ other online stuff? Theoretically we should not be allowed to but I was able to do it few days back. Cannot say for now. Able to purchase online stuff using paypal balance. Great to see that but I am not sure when will PayPal stop that. Well even though they are not complaint yet with the RBI guideliness, I think this is good for Indian Freelancers since we can still be able to use it like we wanted, if it becomes complaint then we will be in grave problem. Withdrawing every 7 days, adding credit cards and all, it is so much of a hassle and well, we also lose a lot of amount of money changing hands from Paypal -> Bank -> Credit Card -> Paypal. Shiva, Though they are not compliant does not mean you can break the rules because if you do they can do whatever they feel like with your hard earned money. 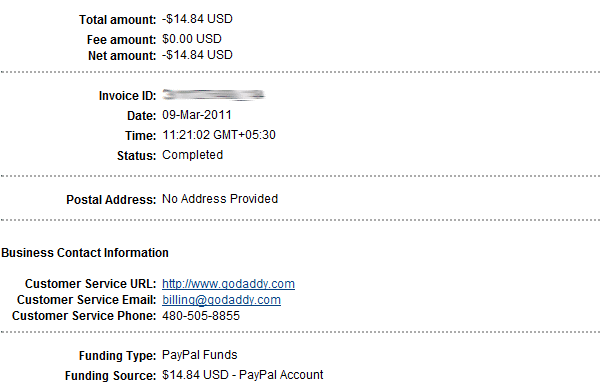 I have stopped to the extent I can but not fully because people around the world still want me to be accepting PayPal. I have lot of direct advertiser’s who are subscribed to sending me payment in PayPal.